Why is OsmoLax Relief different? A simple glass of water mixed with OsmoLax Relief works to provide you with effective relief from constipation. 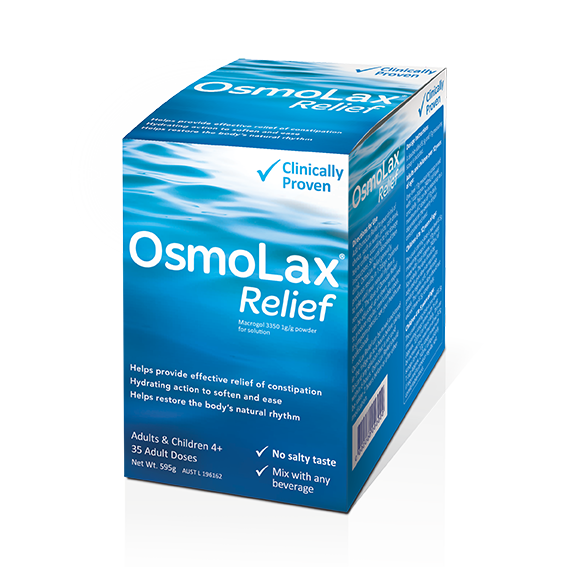 Unlike some other laxatives that cause the bowel to contract, OsmoLax Relief works with the power of water to provide hydration and softness for relief that helps take the discomfort out. What’s more, it’s sugar free, salt free and virtually taste free when mixed with water or your favourite drink. Better still, it’s clinically proven to help restore the body’s natural rhythm.